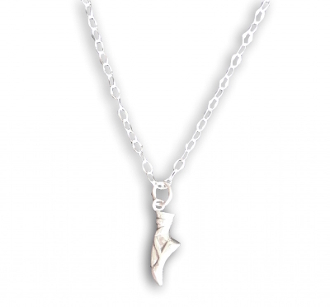 Sterling Silver Ballerina Shoe Necklace. Chain, pendant and clasp all made from fine sterling silver. Chain is 18" long with lobster clasp. Great gift for your dancer!